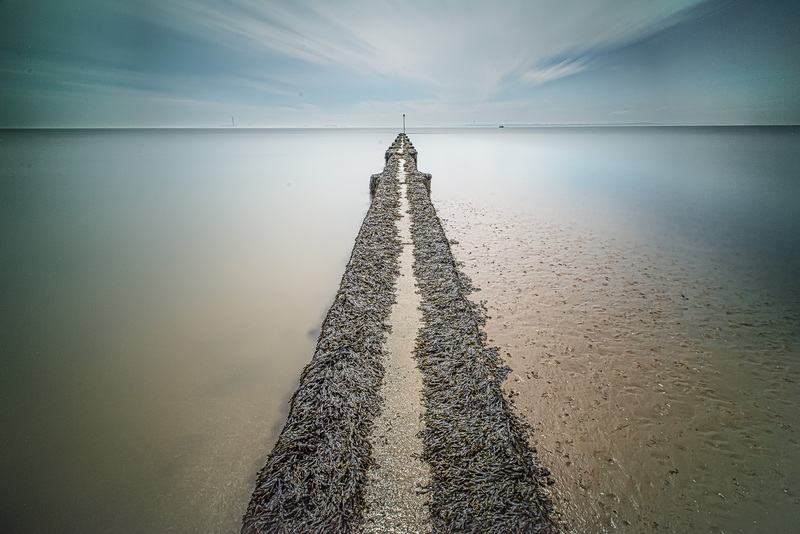 Today’s photo: A long exposure shot taken near Southend, UK, at Shoeburyness. This used to be a major military barrack and defensive area, and as a result there are a lot of mysterious and derelict structures out in the sea that make fertile ground for LE photographers. I liked the obelisk-like nature of this groyne – it looked a bit like a horizontal Cleopatra’s needle pointing to the Netherlands. Thanks to Mr J. Vulture for tipping me off to the location. I spent a surprisingly enjoyable couple of days here, dodging unexploded mines, and scoping good locations for these shots. This one is part of a series – I’ll show the others over the next few weeks. By the way, this is published simultaneously to here, Flickr, and 500px.